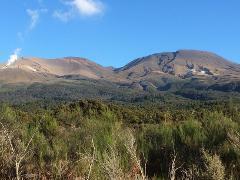 Return shuttle for the Tongariro Alpine Crossing -Shuttles depart Turangi at 6am and 7.30am, with return shuttles in the afternoon at 3pm, 4pm and 5pm. Spring and Autumn timetable: depart Turangi at 7.30am, returns 3.00pm and 4.00pm. 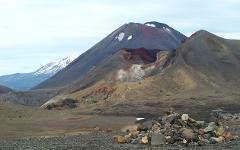 Tongariro Alpine Crossing Shuttle - Mangatepopo to Ketetahi. This is NOT a Shuttle Service so bookings are essential. Pickup from Ketetahi and drop off to Turangi Township (one way). On Shuttle. Specific times from Ketetahi only: 3pm, 4pm and 5pm. For other times, a different fare will apply - please call for other times/fares. 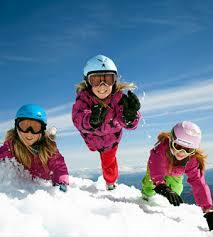 Pickup from Turangi township to Whakapapa on 7.30am Shuttle only. 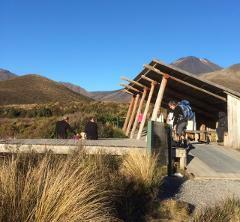 Return pickup 2.15pm from Whakapapa I-Site bus stop.